High performance movements and understated good looks make this series a perfect choice for low-key instrumentation. 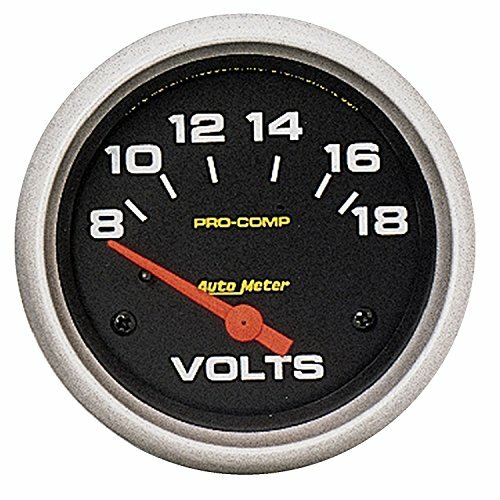 Features rugged air core meter. Subtle all black design for a factory look. Precision movement and extreme accuracy. 1 year limited warranty. 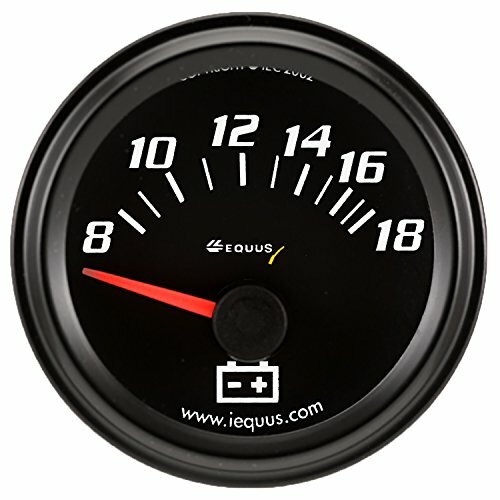 This diverse series of gauges combines the classic tough Auto Meter look with over 30 years of race proven design. Red pointer for quick glance monitoring. Rugged reliable performance. Precision movement and extreme accuracy. 1 year limited warranty. Vintage high performance design, striking white dials, lustrous chrome bezels, domed lenses and package solutions define this series. 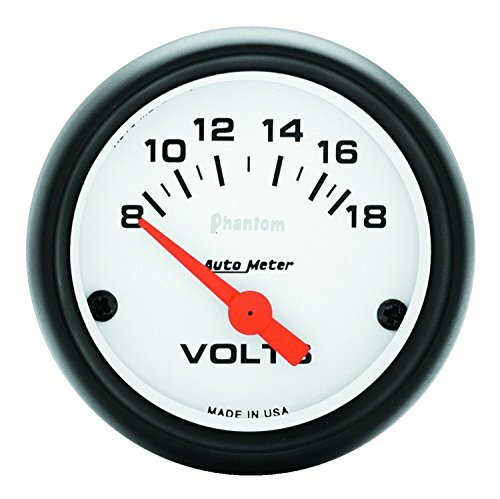 This voltmeter is engineered to measure voltage ranging from 8-18 volts. It provides a 90-degree sweep which enhances visibility and a bright backlit display for night viewing. 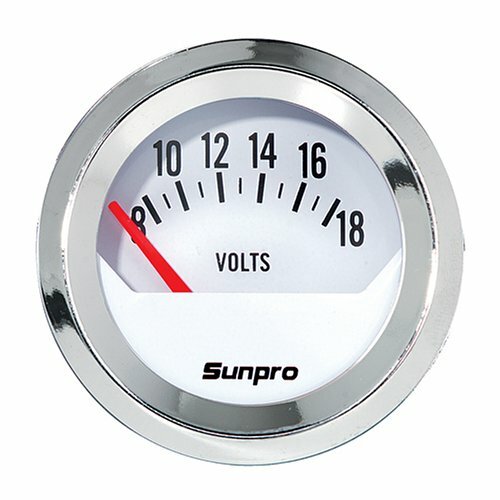 It also has a rear twist-on ring mount design which facilitates easy mounting and features either original equipment type electric aircore meter movement or a solid brass mechanical bourdon tube meter movement for better performance and increased accuracy. 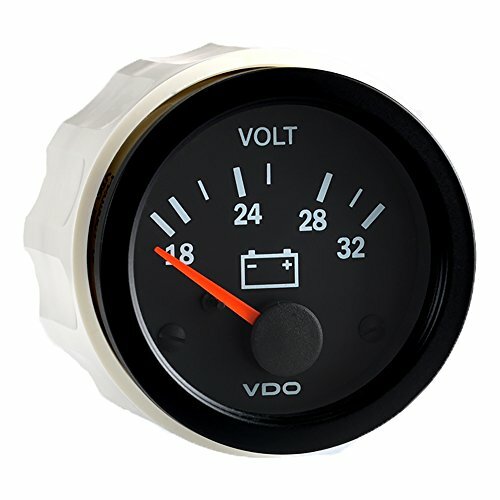 This electrical voltmeter monitors battery and charging circuit operation systems and gives high performance with a great racing look. 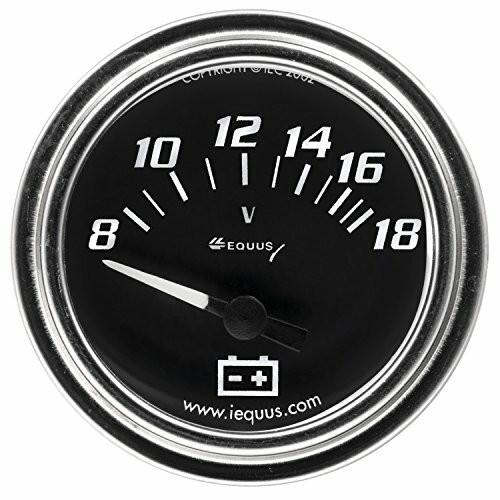 Blue-line styling against the black 2-in dial face with white digits adds style and readability to its look. 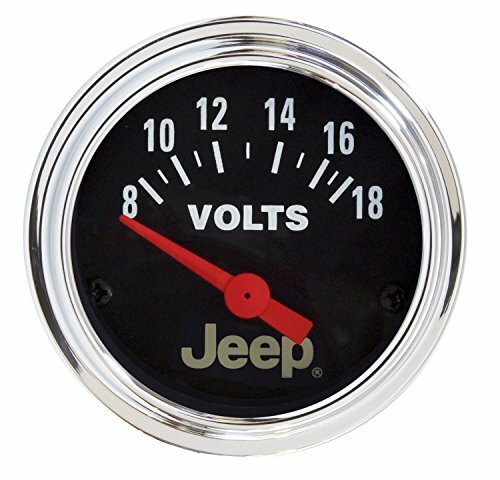 It has 12-volt internal lighting and is designed for negative ground systems. 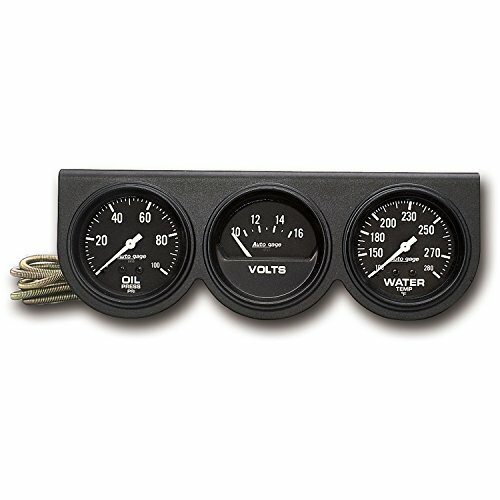 It includes gauge and mounting hardware but requires a hook-up wire. Intense Through The Dial White LED Lighting. Brilliant LED Lit Pointer For Maximum Visibility. Reverse Lighting Effect. 1 Year Limited Warranty. 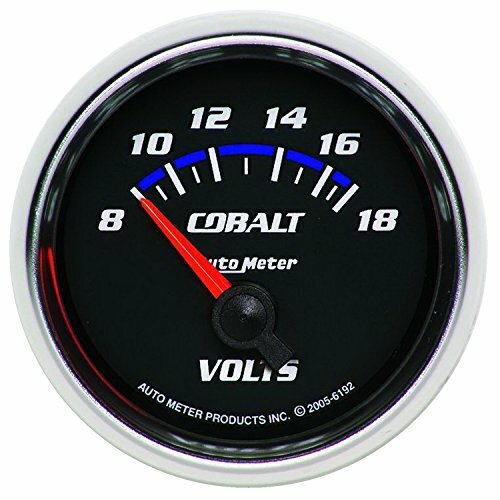 Bright anodized bezels, glowing orange pointers, Cobalt blue LED through the dial lighting, and complete line of precision FULL sweep stepper and Audio gauges set this series apart. 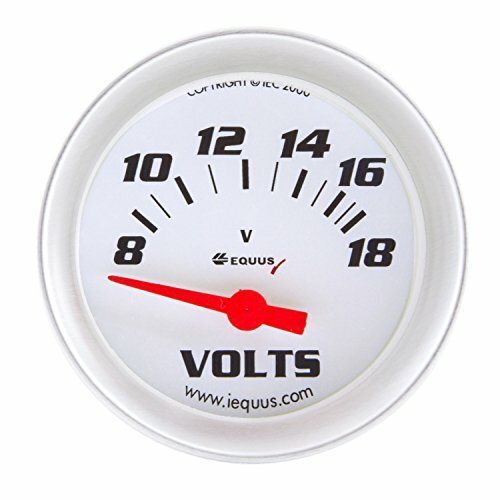 This voltmeter gives high performance with a great racing look and ranges from 8 to 18-volts. 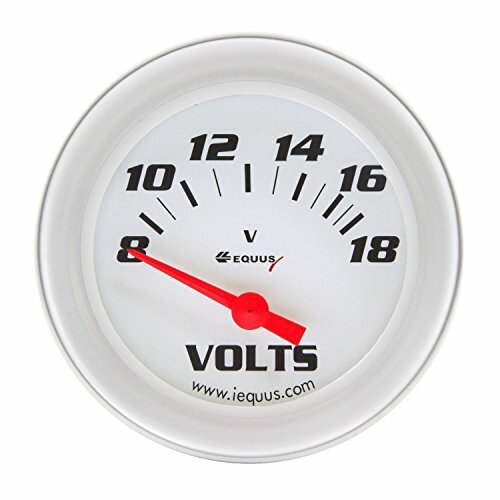 It comes with a 2-in white face dial with black numbers and a red pointer that adds style and readability to its look. 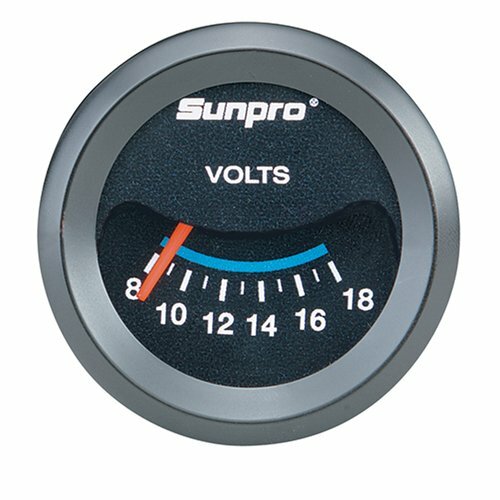 It has 12-volt internal lighting and is designed for negative ground systems. 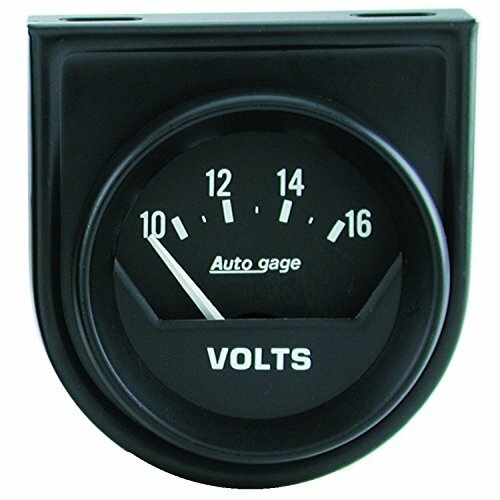 It includes gauge and mounting hardware but requires a hook-up wire. 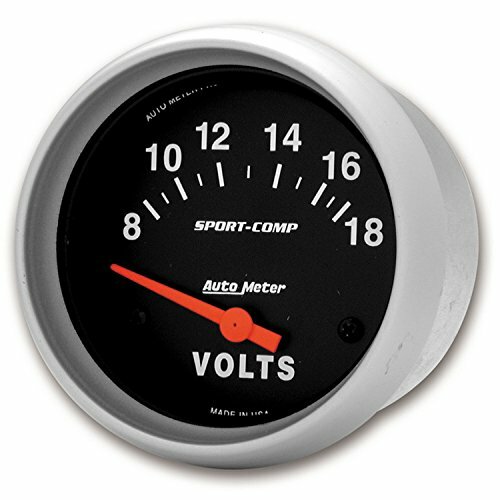 Since 1957, performance enthusiasts have relied on Auto Meter gauges to accurately deliver the information they need to win. 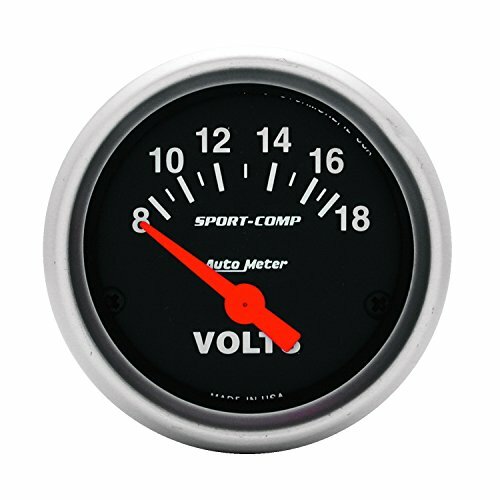 That's because Auto Meter puts rugged, race-proven movements into every gauge. 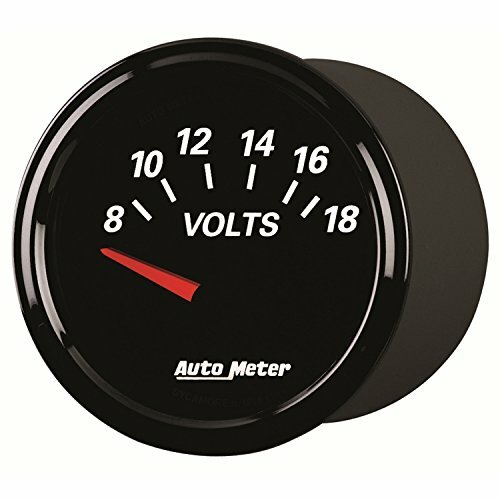 When it comes to style, nobody offers you more great looking options than Auto Meter. 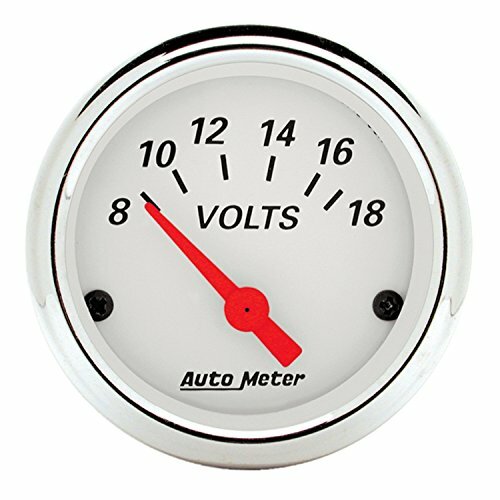 You can make over the entire dashboard or just add some extra gauges from Auto Meter's huge selection of speedometers, tachometers, gauges, data collection, and shift lights. 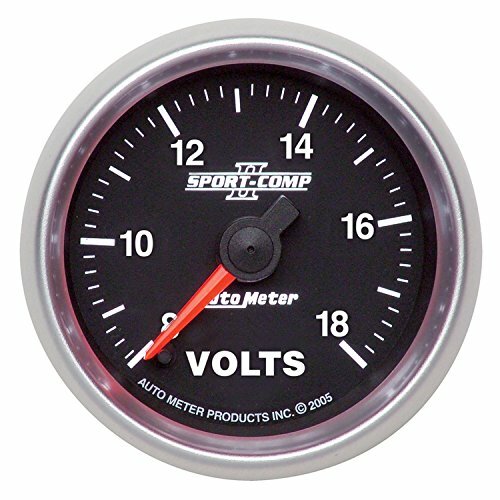 Auto Meter also has the wiring kits, mounting solutions, and accessories you need for easy installation. 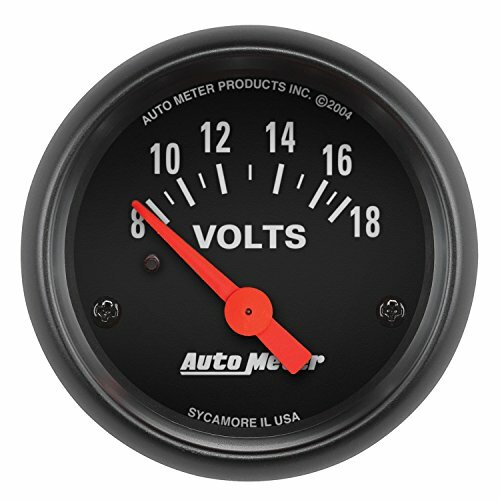 Look inside any winning ride-you're bound to find Auto Meter. 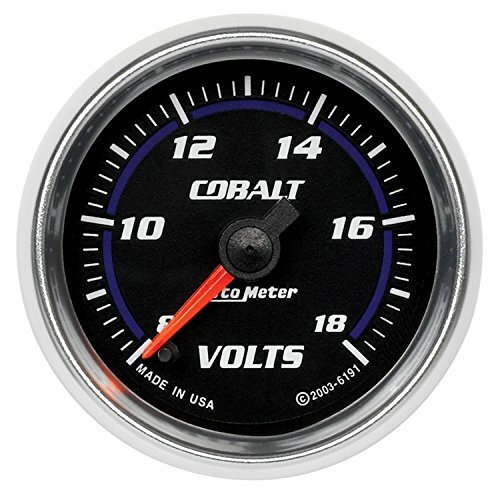 The most rugged gauges available, these tough liquid filled mechanical gauges have more than 20 years of race proven heritage in the most extreme conditions. 1 year limited warranty.